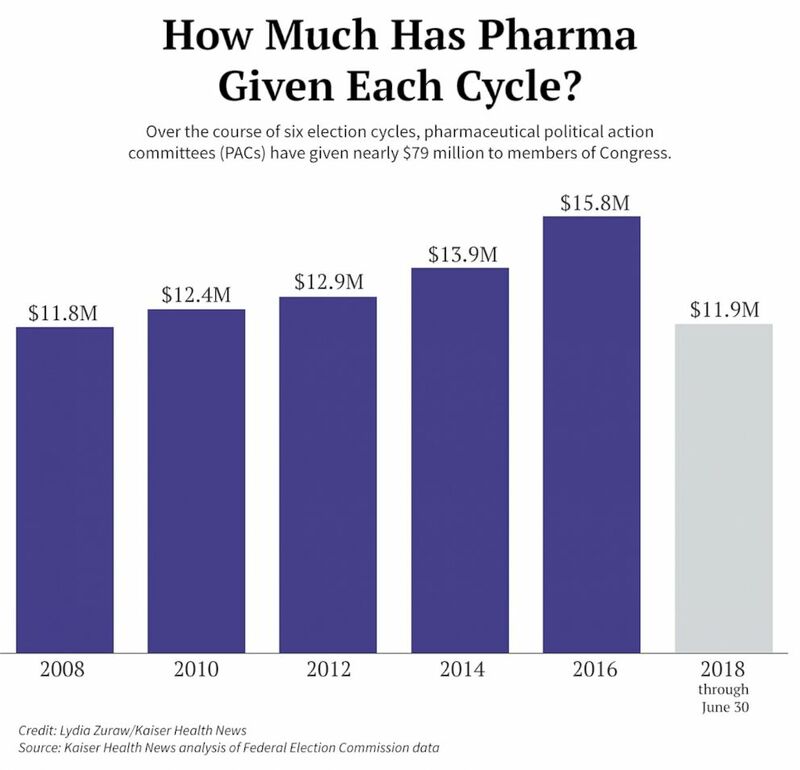 Over the course of six election cycles, pharmaceutical political action committees (PACs) have given nearly $79 million to members in Congress. Pharma contributions by part affiliation. 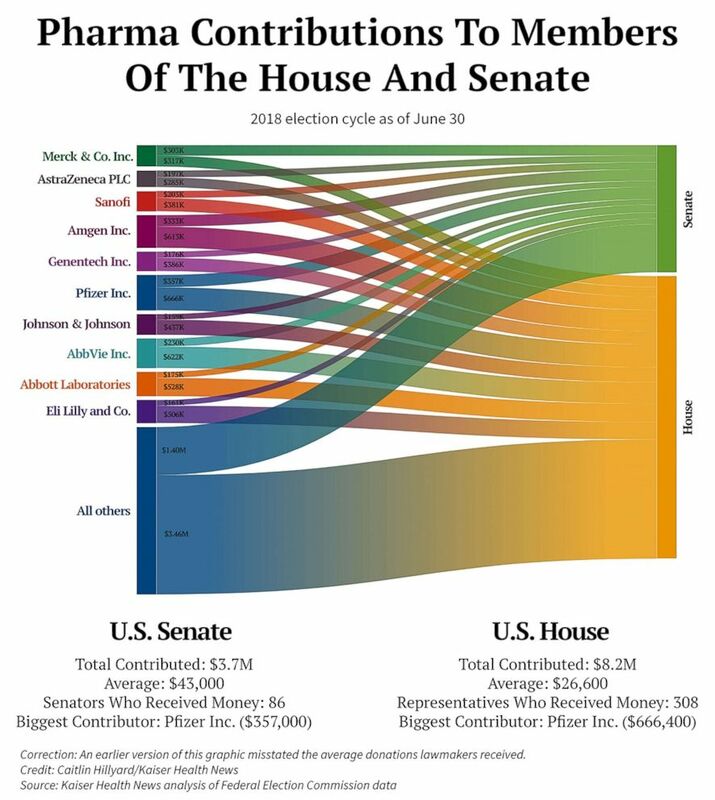 Pharma contributions to members of the house and senate. Who's Giving the Most Money? 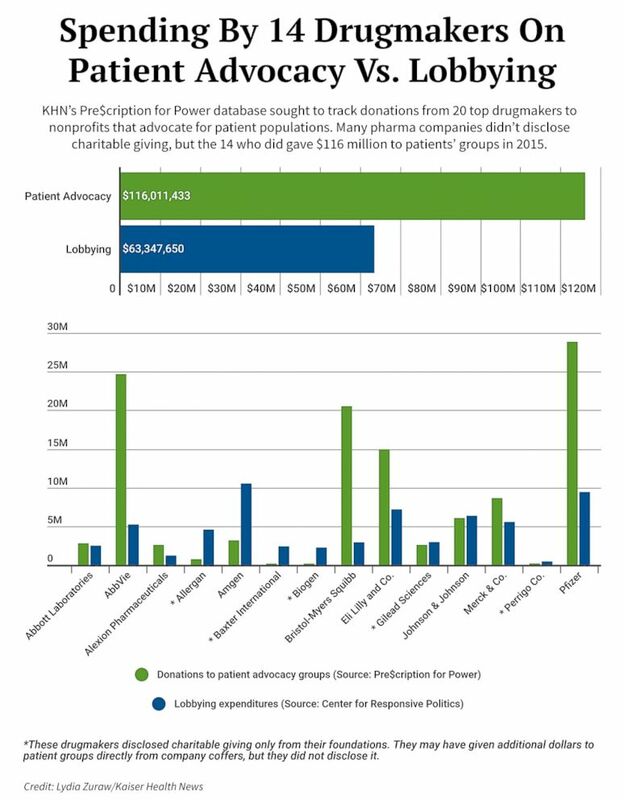 This graphic shows spending by 14 drugmakers on patient advocacy vs. lobbying. 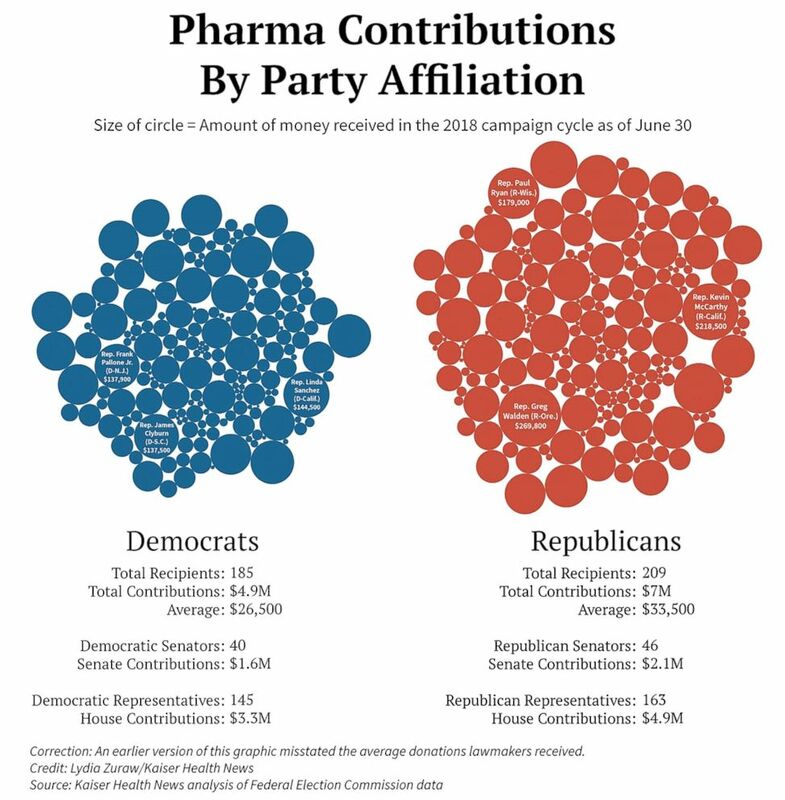 Editor’s note: Two previous graphics explaining how much drugmakers contributed to Democrats and Republicans and to House and Senate members misstated the average donations lawmakers received. The corrected graphics are above.